In my last post I mentioned that we’ve been dealing with a couple weeks of sickness here. And I mentioned that our van was needing some very expensive transmission work. During these weeks without our van and dealing with sickness, we also found out that our house payment is going up $100 a month and then our oven broke, so we can’t bake anything! I have to admit, I started feeling pretty discouraged with all this bad news. I began to focus on how many of my plans weren’t working out the way I had hoped. And then I started thinking about Mary. 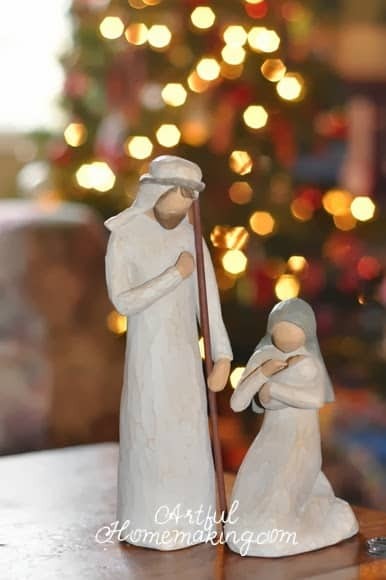 How she might have felt a bit inconvenienced when she found out all that was going to happen to her, as she became the mother of our Savior. I had never really meditated on the whole thing before, but as I thought about it, I realized that she made a choice to graciously accept the will of God in her life, and she stands out as a shining example to me of a beautiful meek and quiet spirit. Mary’s unquestioning acceptance and submissive spirit are so beautiful. I wrote this post several days ago but hadn’t published it yet. And in that space of time, my husband was able to fix our oven (just in time to make Christmas cookies! ), and a dear friend stopped by and handed us an envelope. After she left, we opened it and found $500 cash inside! God is so good, and we are so thankful for such sweet and generous Christian friends. I’ll be making another “remembrance stone” to remind us of His goodness and also the love of our friends. 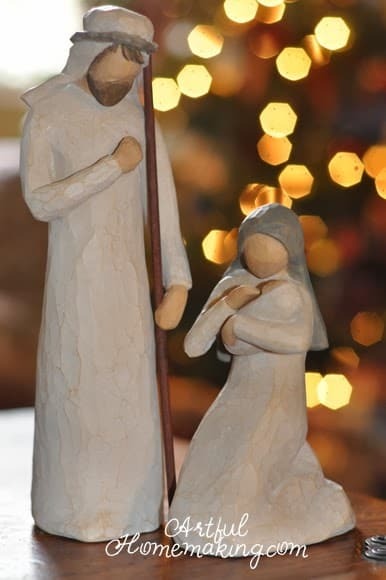 Thanks for sharing and I was also thinking about Mary and she answered the angel, "'Behold the maidservant of the Lord! Let it be to me according to your word.' Amazing and would I have been so willing?? I've been so blessed this Christmas season pondering on all that we have been given, because Jesus came to this world as a baby. He is our HOPE! Thanks for sharing that encouragement, Tanya! Thankyou for sharing your heart. It was much needed with three out of six sick and a broken transmission. God is with us. HE IS Immanuel.